Transpower New Zealand awarded a contract to ABB to upgrade the high-voltage direct current (HVDC) link which interconnects the transmission grids of the North and South islands. New Zealand's North Island houses more than three times the population of the South Island, which besides its picturesque landscape, offers vast amounts of hydropower. ABB noted its historic involvement in the link-- the first New Zealand link was commissioned by ABB, (erstwhile ASEA), in 1965 as one of the first HVDC transmission systems in the world. It was originally a bipolar 600 megawatt (MW) link with mercury arc valves, until the original equipment was paralleled onto a single pole in 1992, and a new thyristor-based pole was commissioned by ABB alongside it, increasing capacity to 1040 MW. The first installation was decommissioned in 2012 after 47 years in operation. 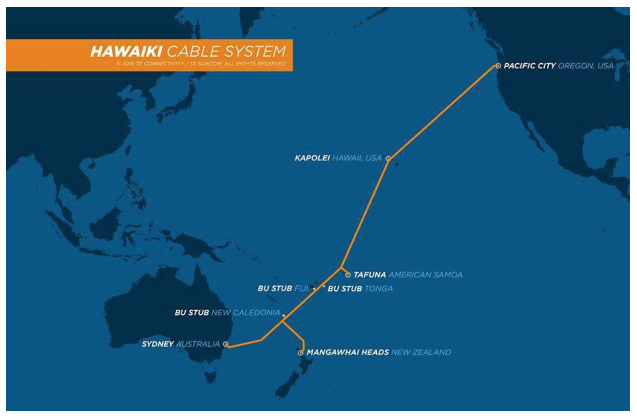 The carrier-neutral Hawaiki subsea cable links Australia and New Zealand to the mainland United States, as well as Hawaii and American Samoa, with additional potential future landings in New Caledonia, Fiji, and Tonga. The Hawaiki Cable System comprises over 15,000 km of high-capacity cable, and the use of TE SubCom's optical add/drop multiplexing (OADM) nodes allows for additional landings in the Pacific region to be added as needed. Hawaiki will provide 43 Tb of new capacity in the Pacific region, significantly dropping the cost of connectivity in this area. Seaborn Networks will use Xtera’s wideband repeater to enable C+L band capability for its new ARBR cable between São Paulo and Buenos Aires. 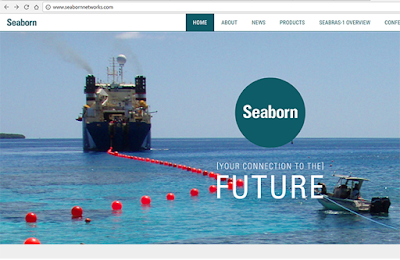 The ARBR submarine fibre optic cable system, which is a fully-funded project developed jointly by Seaborn Networks and the Werthein Group. 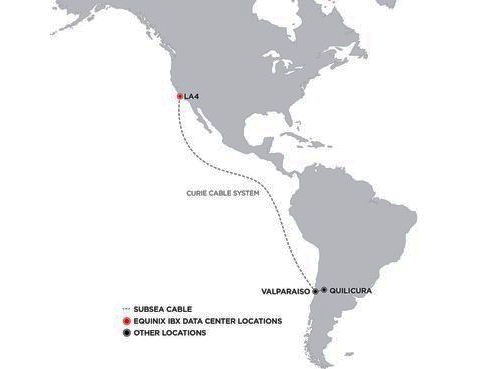 The 2,700 km open system, 4-fibre pair, 48Tbps, direct PoP-to-PoP subsea cable will connect Argentina and Brazil. The ARBR subsea cable system will allow for direct onward connectivity to New York, via the new Seabras-1 system. Xtera’s wideband repeater is a hybrid Raman / EDFA design and can be configured to provide bandwidth in the C band alone, or across the C+L bands. 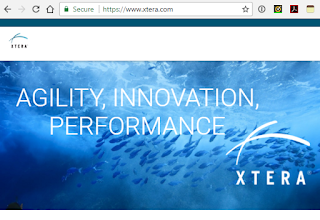 First deployed in 2015, Xtera’s addition of Raman amplification to standard repeater technology has been used to achieve bandwidths of approximately 70 nm, while also offering very low noise solutions. Xtera said development continues to increase the capacity on a fibre pair to well over 100Tbit/s, further demonstrating that high capacity solutions do not have to mean large and costly fibre count systems. In comparison, standard subsea repeaters use a single frequency band to carry the traffic. Seaborn said that by putting both the C and L frequency bands into ARBR’s cable on a fiber pair basis, it can pick and choose which fiber pair uses both bands and which use a single band, therefore enabling a choice between the most cost-efficient deployment of a fiber pair (single band) or an ultra-high capacity fiber pair (C+L). 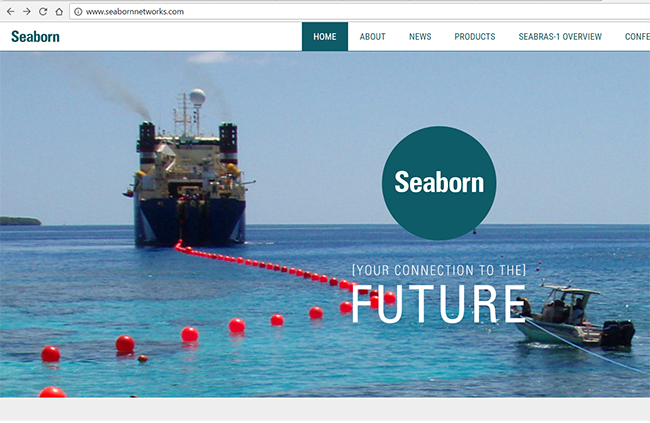 Seaborn is therefore able to tailor the subsea solution of each fiber pair to match the needs of different customers. For instance, carriers, ISPs and enterprise customers need affordable bandwidth from Argentina, whereas hyper-scalers need the assurance of ultra-high capacity throughout the life of the cable system. The evolution of optical transport technology in terrestrial and subsea networks as we approach Shannon's limit is the topic of discussion in this conversation with Glenn Wellbrock, Director, Backbone Network Design, Verizon, Stuart Barnes, Chairman and CSO, Xtera, and Vijay Rudravajjala, VP Engineering, Xtera. Construction has commenced on the Japan-Guam-Australia Cable (JGA), a 9,500-kilometer undersea fiber optic cable system will deliver a design capacity of more than 36 terabits per second (Tbps) and is expected to be completed in the fourth quarter of 2019. JGA is being co-built by Alcatel Submarine Networks (ASN) and NEC. 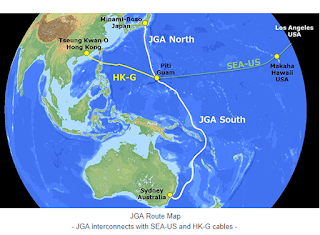 JGA South (JGA-S), the segment between Sydney, Australia and Piti, Guam, is a consortium cable including AARNet, Google and RTI-C.
JGA North (JGA-N), the segment between the Minami-Boso, Japan and Piti, Guam, is a private cable with RTI-C as the sole purchaser. Both JGA-N and JGA-S will interconnect in Guam at GTA's newly built landing station. Toru Kawauchi, General Manager of NEC's Submarine Network Division said, "We are honored to be selected once again by RTI-C to construct their third subsea cable. 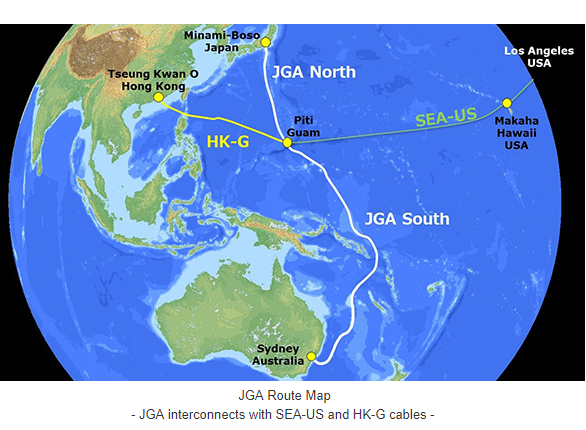 While both SEA-US and HK-G will provide horizontal East-West connectivity across the Pacific, JGA will now provide the much-needed vertical North-South connectivity, enabling high capacity communications to reach all corners. Furthermore, JGA will be the second project after HK-G to be co-financed by the Japanese government-led Japan ICT Fund, and the third project supporting RTI's investment after SEA-US and HK-G for the Japanese loan syndicate. We wish to further utilize these funds for many more cables in the future." 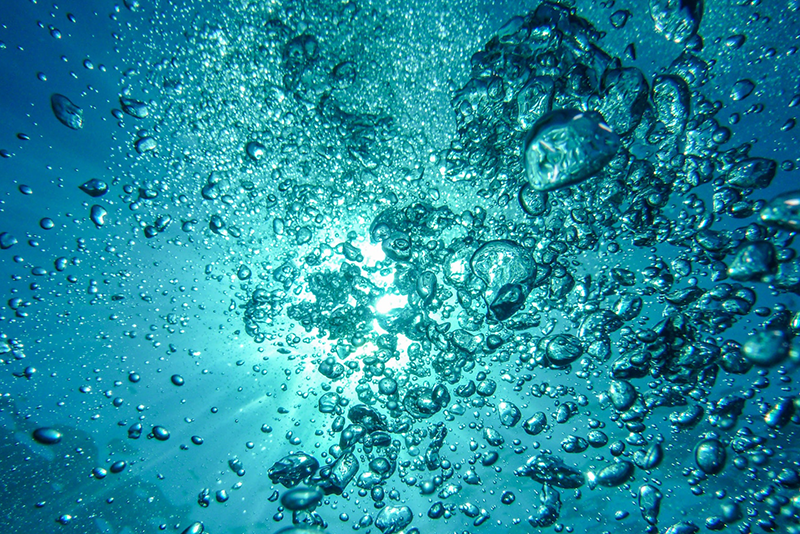 Ciena is boosting the horsepower of GeoMesh Extreme submarine solution by adding support for L-Band spectrum. The platform also gains the ability to operate on TE SubCom’s L-Band wet plant system, nearly doubling the information-carrying capacity of a submarine cable. Specifically, in addition to current C-Band (~ 1530nm to 1565nm) spectrum, Ciena’s GeoMesh Extreme solution now opens up the L-Band (~ 1656nm to 1625nm) in the same optical fiber, doubling the carrying capacity of an undersea cable. “Our partnership with TE SubCom has been critical in ensuring that customers can meet demand growth while delivering the highest level of performance. Leveraging L-Band, over and above the traditional C-Band, changes the economics of submarine network connectivity by providing unprecedented improvements in capacity, reliability, and simplicity,” stated Steve Alexander, Chief Technology Officer, Ciena. TE SubCom will serve as the system supplier for HAFVRUE, a new subsea cable that will link New Jersey to the Jutland Peninsula of Denmark with a branch landing in County Mayo, Ireland. Optional branch extensions to Northern and Southern Norway are also included in the design. The HAVFRU system will be owned and operated by multiple parties, including Aqua Comms, Bulk Infrastructure, Facebook, and others. Aqua Comms, the Irish cable owner/operator and carriers’ carrier, will serve as the system operator and landing party in U.S.A., Ireland, and Denmark. Bulk Infrastructure of Norway will be the owner and landing party for the Norwegian branch options. The HAFVRUE subsea cable system will be optimized for coherent transmission and will offer a cross-sectional cable capacity of 108Tbps, scalable to higher capacities utilizing future generation SLTE technology. SubCom will incorporate their Wavelength Selective Switching Reconfigurable Optical Add Drop Multiplexer (WSS-ROADM) for flexible wavelength allocation over the system design life. 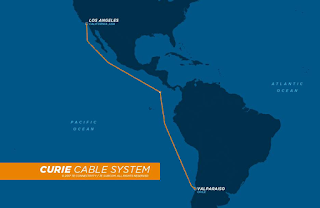 It is the first new cable system in almost two decades that will traverse the North Atlantic to connect mainland Northern Europe to the U.S.A.
HAVFRUE is the Danish word for mermaid. Preparation work is underway and system ready-for-service (RFS) is expected in Q4 2019. 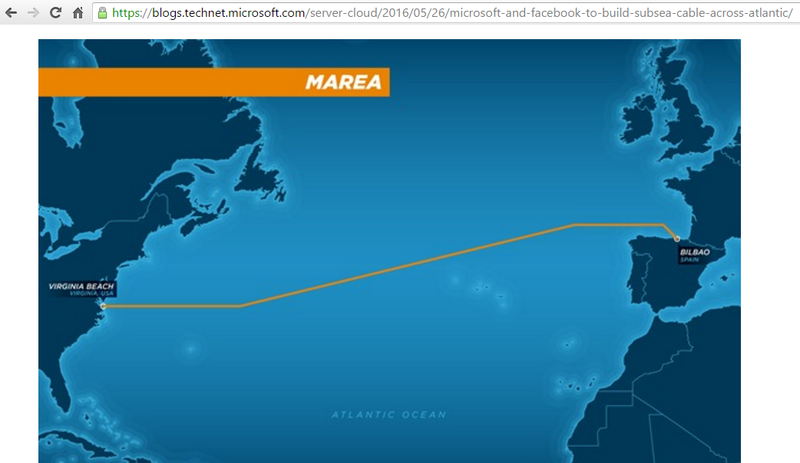 In September 2017, construction was completed on the 6,600 km MAREA subsea cable, which was jointly funded by Microsoft and Facebook. MAREA links Virginia Beach, Virginia to Bilbao, Spain. The cable will be managed by Telxius, Telefónica’s new infrastructure company. 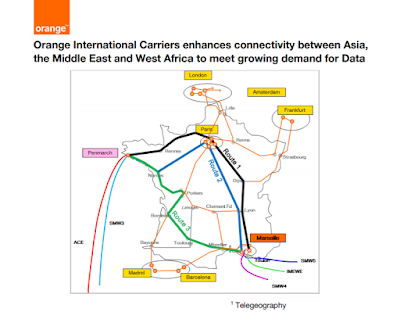 The cable features eight fiber pairs and an initial estimated design capacity of 160 Tbps. MAREA takes a more southern route than other transatlantic cables, which mostly connect northern Europe to the New York/New Jersey region. Zayo has been selected to provide a private dedicated network (PDN) for New Cross Pacific (NCP) US Backhaul group, comprised of Chunghwa Telecom, KT Corporation, China Telecom, China Mobile International and China Unicom. Zayo's PDN will be used to backhaul traffic from NCP's U.S. landing station across the western United States. The NCP subsea cable, which spans more than 13,000km (8,000 miles), will link Asian landing stations in Chongming, Nanhui, Lingang, Busan, Toucheng and Maruyama with its U.S. landing station in Hillsboro, Oregon. The NCP subsea cable is expected to land in the next few months, providing capacity that can scale up to 80 Tbps. Zayo’s 4,300km (2,700 mile) backhaul solution will provide NCP’s US Backhaul group with connectivity from the landing station throughout the West Coast, including San Jose and Los Angeles, with connectivity options throughout North America. The PDN solution provides dark fiber as well as a full range of managed fiber solutions. JUPITER, a new large-capacity, low-latency subsea cable between Japan and the United States has received the backing of SoftBank, Facebook, Amazon, PLDT and PCCW Global. The JUPITER cable system. which will have a total length of 14,000 km, will have two landing points in Japan — the Shima Landing Station in Mie Prefecture and the Maruyama Landing Station in Chiba Prefecture — as well as a U.S. landing station in Los Angeles, California, as well as a landing station at Daet in the Philippines. JUPITER will feature a state-of-the-art submersible ROADM employing WSS (wavelength selective switch) for a gridless and flexible bandwidth configuration. The cable system will also be designed to support 400 Gbps wavelengths. The initial design capacity is 60 Tbps. 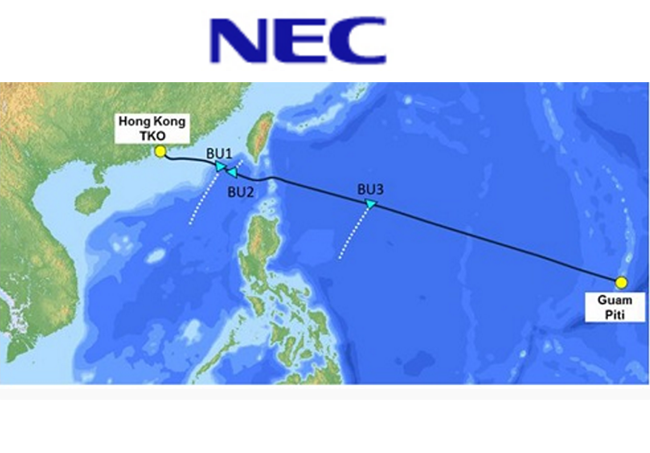 NTT Com said its Asia Submarine-cable Express (ASE), Asia Pacific Gateway (APG) and Pacific Crossing-1 (PC-1) cables will connect with JUPITER to provide a redundant three-route structure linking major cities in Asia, Japan and United States. NTT Com is also planning direct connections from the cable landing stations in Japan to data centers in Tokyo and Osaka. JUPITER is expected to come online in early 2020. NJFX, the first colocation and data centre campus to be situated at a cable landing station, announced the addition of Aqua Comms DAC, operator of Ireland's first dedicated subsea network interconnecting New York, Dublin and London, and Epsilon Telecommunications, a privately owned global communications provider, to its connectivity ecosystem. With the addition of Aqua Comms, NJFX customers are able to diversify their connectivity options to key European hubs, bypassing legacy bandwidth restrictions within the U.S. Under the agreement, Aqua Comms has deployed a point of presence (PoP) within NJFX's colocation campus, allowing NJFX customers to directly access the carrier's suite of services without incurring cross connect fees. In addition, Epsilon and Aqua Comms have partnered to deploy Infiny by Epsilon, an on-demand connectivity platform, within the NJFX facility. As part of the partnership Aqua Comms will use the Cloud Link eXchange (CloudLX) module of Infiny to interconnect new services arriving into and leaving the NJFX campus. NJFX (New Jersey Fiber Exchange), claiming to be the only colocation campus sited at a cable landing station and offering carrier neutral data centre capabilities, provides direct access to multiple subsea cable systems that interconnect North America, Europe, South America and the Caribbean. 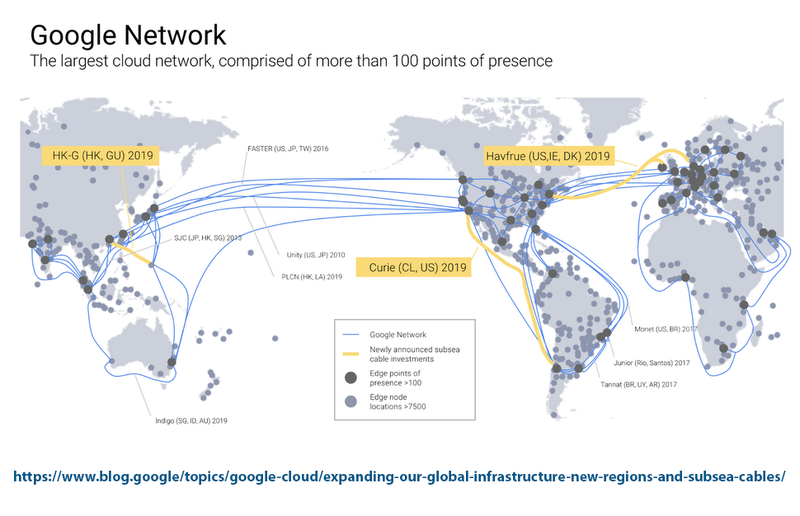 Epsilon is a cloud-centric network service provider, extending carrier grade connectivity services to communications and cloud ecosystems. The company offers networking capabilities that combine on-demand infrastructure, automation, web-based portals and APIs designed to enable global connectivity. Aqua Comms DAC is the owner and operator of the trans-Atlantic cable AEConnect and the Irish Sea cable CeltixConnect-1, and has a strategy of building, acquiring or merging with subsea cable networks to provide networking solutions to the media, content provider and IT company sectors. Construction has commenced on a new Hong Kong - Guam Cable system (HK-G) that will offer 48 Tbps of design capacity when it comes into service in late 2019. The 3,900 kilometer undersea cable, which features 100G optical transmission capabilities, is being built by RTI Connectivity Pte. Ltd. (RTI-C) and NEC Corporation with capital from the Fund Corporation for the Overseas Development of Japan's ICT and Postal Services Inc. (Japan ICT Fund), along with syndicated loans from Japanese institutions including NEC Capital Solutions Limited, among others. 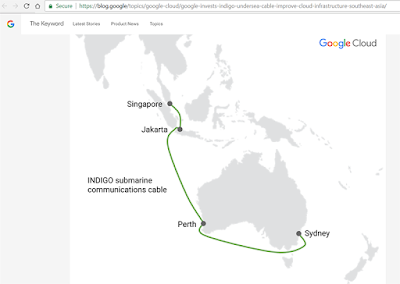 A consortium comprising AARNet, Google, Indosat Ooredoo, Singtel, SubPartners and Telstra announced that they have entered into an agreement with Alcatel Submarine Networks (ASN) for the construction of a new subsea cable system. On completion, the new INDIGO cable system (previously known as APX West & Central) will expand connectivity between Australia and South East Asia markets, and will enable higher speed services and improved reliability. In addition to Google, the INDIGO consortium is made up of: AARNet, a provider of national and international telecom infrastructure to Australia's research and education sector; Indosat Ooredoo, an Ooredoo Group company providing telecom services in Indonesia; Singtel of Singapore, with a presence in Asia, Australia and Africa; and SubPartners based in Brisbane, Australia, which focuses on delivering major telecoms infrastructure projects in partnership with other companies.